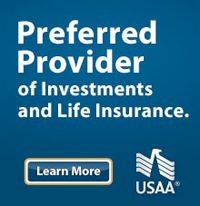 USAA is AMS’s Preferred Provider for Insurance and Financial Services — one of America’s top ranked and award winning companies known for its great products, customer service and customer advocacy – USAA! Show your support with the USAA Rewards Credit Card. Take advantage of our superior service and discounts designed for those who serve. Help protect your home, car or belongings with industry-leading service and coverage designed to fit your budget. Join a bank that saves you money. USAA Bank has no monthly service fees or minimum balances, and we offer a network of over 60,000 free ATMs. Stay on top of your financial goals with a USAA investment account. Let USAA help you tailor your investment choices to your goals. From changes in the military to changing family needs, we’ve got advice and tools to help you through important life events. Find the right new or used car for you and save money with our exclusive member discounts. Call USAA’s exclusive AMS dedicated toll-free number at 800-531-2671 or visit the AMS specific website at www.usaa.com/ams.